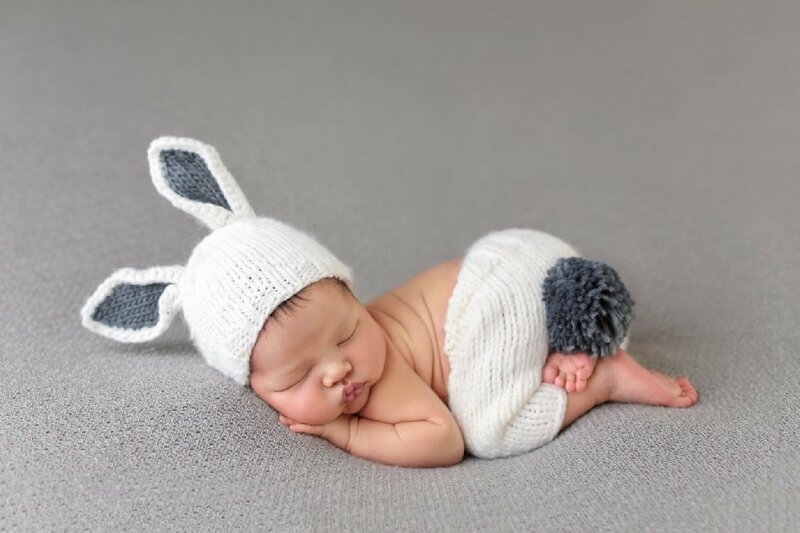 Bunny hats to keep your little ones warm and adorable - Bunny pants set for a sweet spring baby - these super soft knit creations by The Blueberry Hill are beyond adorable. Put your baby in this “Bailey” Bunny set for ultimate cuddliness. As if their little tooshes aren't soft enough, we can't get over the little pom-pom on the bum! 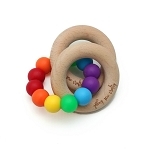 Perfect for a spring baby shower gift or photo prop. Set includes knit hat and knit pants. This is the sweetest little bunny hat with a crown of knitted flowers between the ears. The flowers and soft cream color inside the ears add so much detail. We love the light gray style and think the flower combination is perfect for spring. 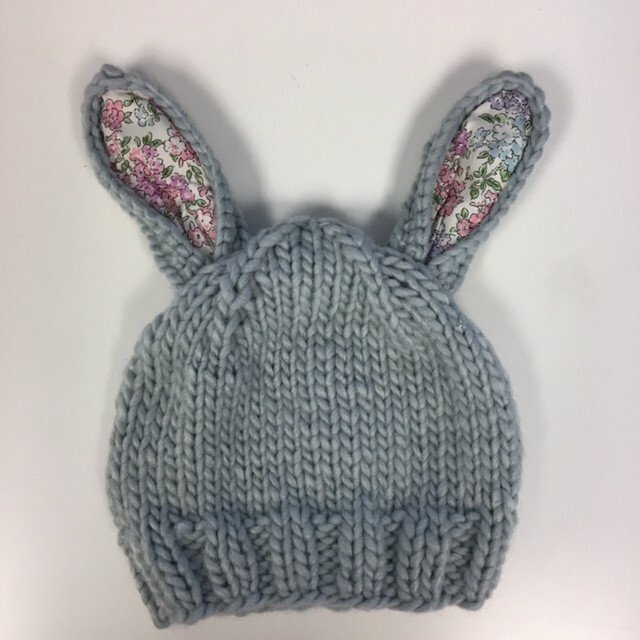 This perfect little bunny hat comes in gray and white with a cute floral design in the ears! Get yours while supplies last. Liberty of London Fabric is exclusive to the Bailey Bunny and once it is gone its gone. All hats and sets are made with super soft Icelandic Acrylic yarn.